The Regatta Mens Ignis Hybrid Jacket is a full-zip jacket combining baffled insulation in the main body and stretch panels for improved freedom of movement. The combination of insulation and stretch makes the jacket an ideal choice for active pursuits such as climbing as well as walking and hiking. 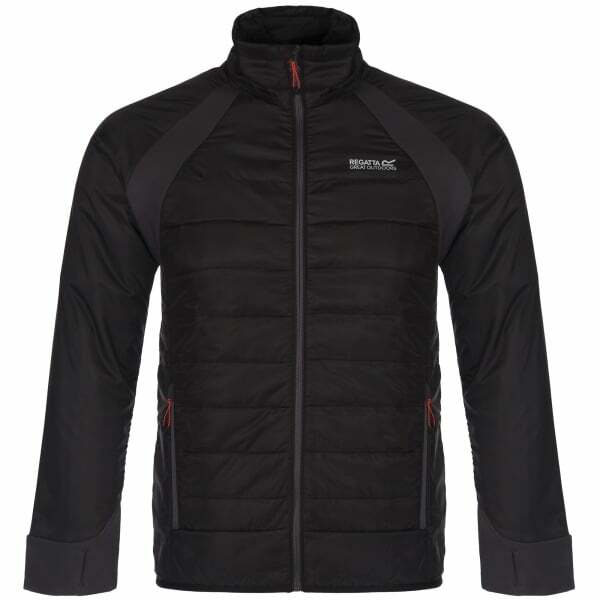 The main body of the jacket uses Warmloft insulation technology to keep your core warm. This synthetic soft-touch insulation is water repellent and provides excellent warmth while remaining highly breathable. The lightweight fill is also highly compressible allowing for easy storage in a rucksack. Strategically placed stretch panels allow for improved dynamic movement, providing unrestricted freedom for active pursuits. Other features of the jacket include 2 zipped lower pockets for storing essential items and integrated thumb loops to stop the sleeves riding up when stretching.